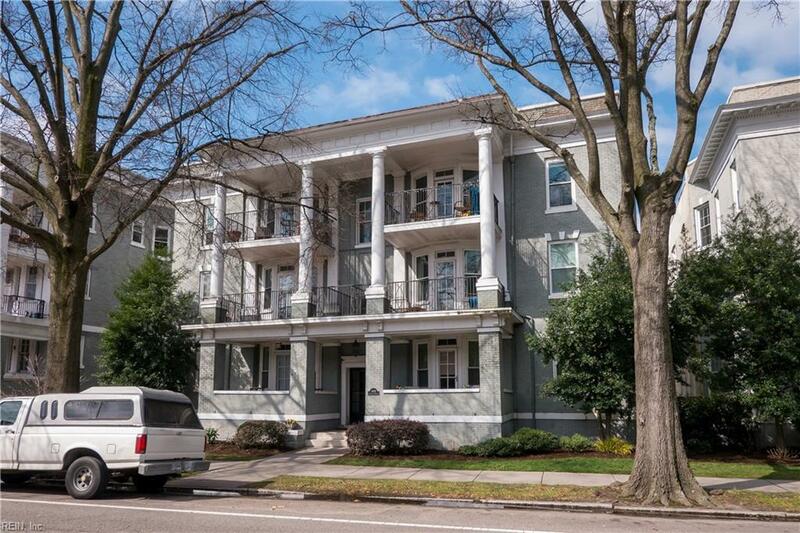 1009 Colonial Ave #3, Norfolk, VA 23507 (#10242991) :: Abbitt Realty Co.
Gorgeous three bdrm condo overlooking residential, treelined street in fantastic Ghent location within close proximity to shopping & restaurants. Enjoy beautiful evenings on your wide private balcony. 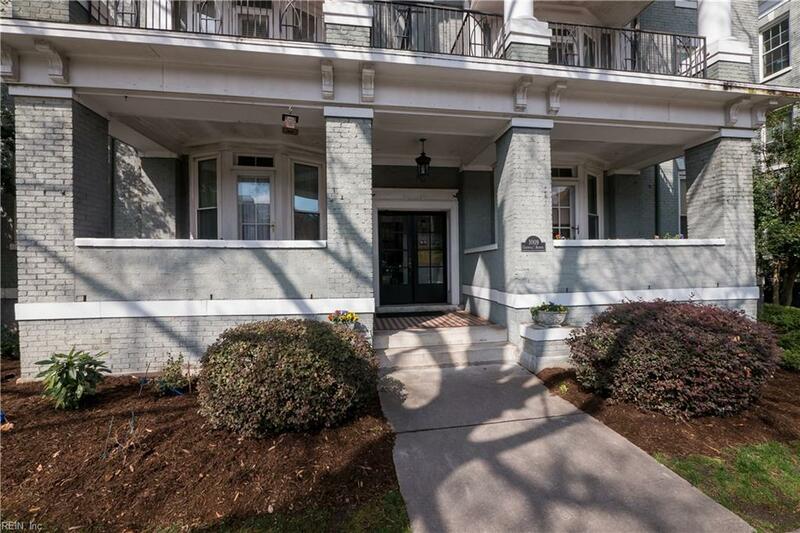 Gorgeous heart pine floors+character throughout, including columns, built-ins, spacious rooms, high ceilings, bayed walls, & large windows faux fireplace.Lots of renovations & recent updates. New Bosh dishwasher, new range & microwave. HVAC installed 1.5 years ago. Washer/ dryer installed 5 yrs ago. Attractive master bath w/walk-in tiled shower & glass tile accents, tiled flooring, great fixtures & new medicine cabinet Large kitchen provides ample space for cooking w/maple cabinets, pullout shelves & some glass fronts. Laundry closet is in the kitchen. 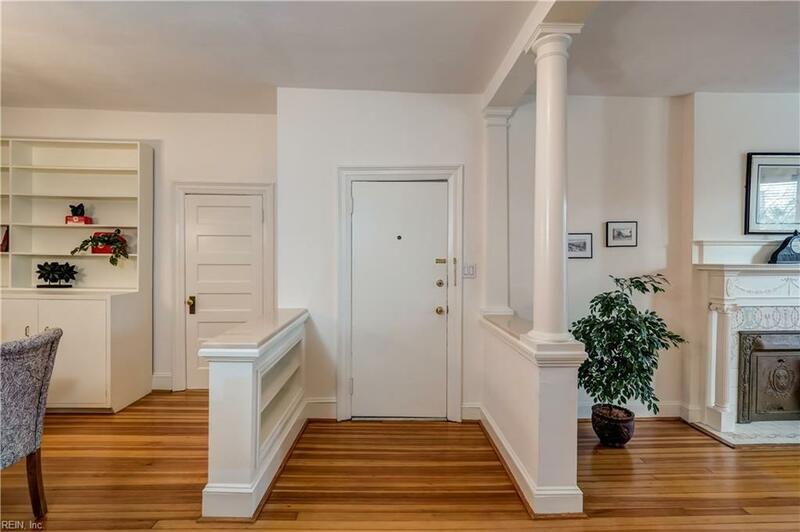 Attractive back landing. 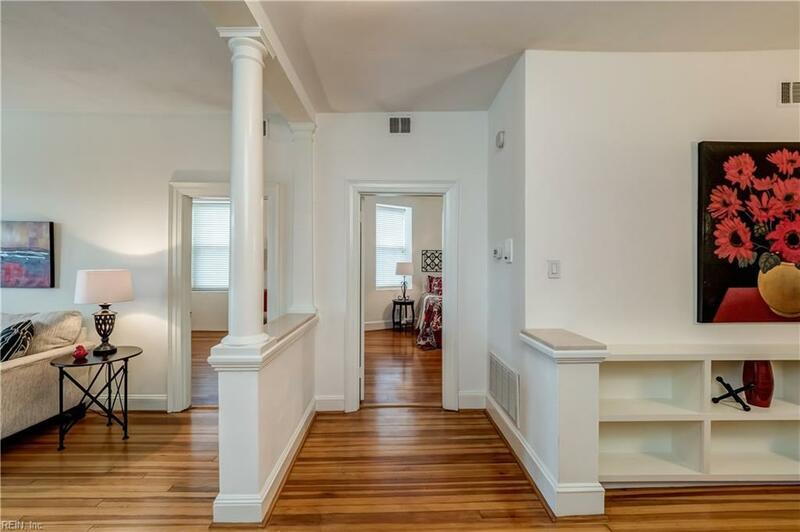 Steps from Stockley Gardens , EVMS, Norfolk General, Downtown district, the Opera House & the Chrysler Museum. Assigned storage and 1 assigned parking space w/some guest spots. Lots of on street parking.